Sword is to release in May 2019 a 1/72nd Douglas AD-4W/AEW.1 Skyraider kit - ref. 72126 http://swordmodels.cz/cs/coming-soon/145-sw72126-ad-4waew1.html https://www.aviationmegastore.com/douglas-ad4waew1-skyraider--expected-may-2019-sw72126-sword-8592977721269-aircraft-scale-modelling/product/?action=prodinfo&art=161597 V.P. Mojo Shmojo, Skyraider Eyes of the Fleet conversion. An all new 1/48th Douglas AD-5Q Skyraider resin conversion set is in the development stage. The maker of this yet to be announced product is currently unknown (North Wing Model Craft ??). To be followed Source: https://www.facebook.com/groups/695711033832473/permalink/1740945512642348/ V.P. Thanks Tali! A new Ukrainian brand, Skale Wings (formerly Ukrop Models), is to release a 1/72th Douglas AD-5W Skyraider kit - ref. VS001 Sources: http://www.greenmats.club/topic/1784-ad-5w-172/#comment-19682 http://hobbyterra.com/product/skyraider-ad-5w-attack-aircraft-in-1-72-scale-skale-wings-001.html V.P. I've had this kit in the stash for nearly 10 years and I've been saying I'd build more of my nice models, so here goes. 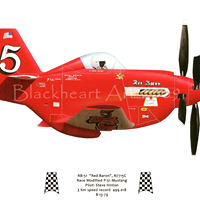 The only addition will be the Eagle Strike decals for VNAF aircraft. I'll be building the third one down in the green and brown camo. It was from the 83rd Special Operations Squadron, commanded by General Nguyen Cao Ky, flown out of Tan Son Nhut during 1965. North American/Fiat QF-91C In 1961 the US DoD authorised the loan of two Luftwaffe Fiat G.91s for trials by the US Army. These were flown alongside Douglas A4D-2 Skyhawks and a Northrop N-156 (F-5 prototype). One was an Italian built G.91R-1, c/n 0052 that served with the Luftwaffe (BD+102) whilst the other was a German built G.91R-3 (c/n 0065) Luftwaffe EC+105. Although all three types were highly regarded none were deemed suitable for the role of Close Air Support or Forward Air Controller. Rumours abound that this decision was based on political grounds as the US Army could not be seen to fly foreign, (G91), Navy (A4D) or High performance USAF types (F-5) .... In 1965, however, with the US deeply embroiled in the Vietnam war the lack of a dedicated CAS aircraft to replace the venerable A-1 became far too visible. With the USAF reluctant to give up it's F-100s, even though they themselves needed replacement, the US Army dusted off it's reports and looked again at the G91, albeit now in the new Y variant, much favoured with it's twin engines and greater performance. New trials once again proved the validity of the dedign and with minor changes the type was authorised for production under license by North American Aviation. By 1970 the type had virtually replaced to A-1 and had also been adopted by the Airforce as a F-100 replacement. 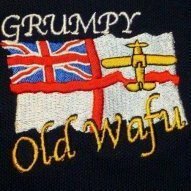 It went on to have an excellent service record both in combat and peacetime up until it's withdrawal in the late 1980s. It was not the end though and many airframes had a 2nd life awaiting for them. Post Vietnam cutbacks meant the conversion of F-102,106 and F-4s to the unmanned drone role was under threat. North American jumped in and utilised the experience acquired from the successful QF-86 and QF-100 programs to offer a lower cost solution. Slowly the ranks of F-91Cs sunning in the desert shrank as the majority of airframe not allocated to museums or the spares pile, were returned to flying condition with the ubiquitous bright red markings associated with their new lease of life. Some were mostly grey, others mostly green, a few had 2 or 3 colour camouflage, and a rare couple had special schemes. One thing was agreed upon by all - even the anonymous birds looked spectacular in their new feathers. After its original 1/32nd A1H Skyraider "Korean War" boxing (http://www.britmodeller.com/forums/index.php?/topic/234919671-132nd-douglas-a-1h-skyraider-by-trumpeter-sneak-preview-released/?hl=skyraider ), Trumpeter is to re-release this kit as Douglas A1H/AD-6 Skyraider "Vietnam War" - ref.02253. Release expected in December 2013. Source: http://www.trumpeter-china.com/a/en/product/fly/1_35_Series/2013/0930/2506.html V.P. I am back into the man cave following a brief break from my building. I remember building a large scale Skyraider with my father when I was very young, so I am looking forward to having a go at this Tamiya kit. I have started with the cockpit and decided that for the first time that I would include a pilot. So the challenge of painting a small figure was taken on. I think its OK. the images are greatly magnified and the original size looks quite realistic and pleasing. A white wash was given to the black instruments and knobs to give them relief. A few dabs of red and white helped to liven it up. The light grey interior was just Vallejo grey primer mixed with Home brew thinners and some acrylic floor gloss. The home brew thinners has properties that give a very smooth finish to the paint. The primer mix allows sanding much more quickly than the un-modified mix, which tends to peel if not left for 24hrs to dry.